Confirming the timepiece’s unique status are the words “World Premiere” engraved on the caseback, along with the limited edition number. The sapphire crystal on the caseback allows an unobstructed view of the OMEGA Co-Axial calibre 8615 at the heart of the Seamaster Planet Ocean Orange Ceramic. This exclusive OMEGA Co-Axial mechanical movement is fitted with a Si14 silicon balance spring. Adding to the watch’s striking appearance are the 850-grade platinum Liquidmetal® numerals, division lines, inner ring and triangle on the bezel. Beneath the domed scratch-resistant sapphire crystal, the sand-blasted 950-grade platinum dial complements the orange ceramic bezel ring and the dazzling platinum case. “Pt950” is engraved above the centre hole, identifying the material of the intriguing dial. Along with the facetted 18K white gold indexes and central hour - minute - seconds hands, there are the 6 – 9 - 12 numerals, GMT applique and the central GMT hand that rotates once every 24 hours in orange aluminium. This useful complication can be used with the rotating bezel to help you keep track of the time in a second and third time zone. The watch features an integrated orange leather strap with platinum stitching and a 950-grade platinum foldover clasp. An orange rubber strap is also delivered with it along with a special tool to change it. 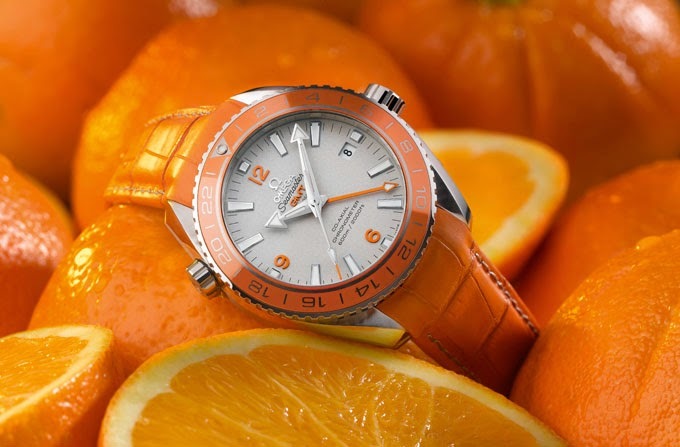 The OMEGA Seamaster Planet Ocean Orange Ceramic wristwatch is water resistant to 60 bar (600 metres / 2000 feet). 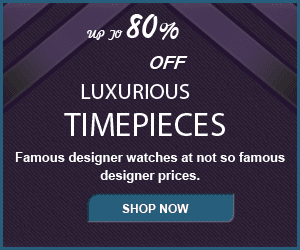 This remarkable timepiece is delivered in a special wooden presentation box, with a full four-year warranty.